Sorry , couldn't resist. I just got back from my crop with my DT girlies at We B' Scrappin! So much fun and since I talk way too much when I get together with them, well, I only got 2 pages done and managed to snap some shots before handing them over for display in the store. I got to work with the new Bo Bunny's "U Bug Me" line and I loved it. Such cute Boy papers. 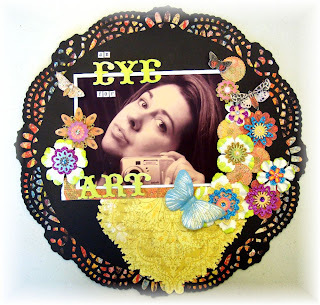 I just went a bit crazy with embellies and cut outs here. 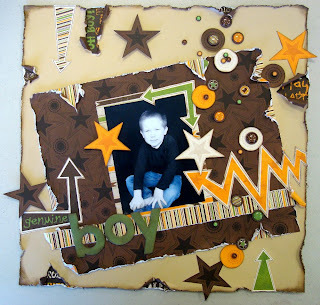 I love the energetic look to these papers and how it creates a vibrant and fun feeling to my page about my son. He is HIGH energy and drama so this suits his personality well! 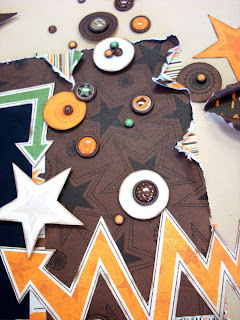 I cut circles, arrows, and stars from the various papers and layered them with the brads and some pop dots to make some stand out more. 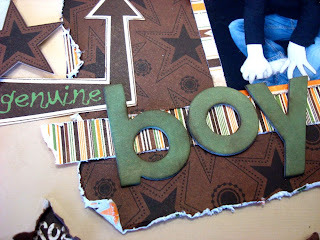 The chipboard letters are fun and after being inked, gave a "dirty boy" look! These papers distressed nicely too and ripped exactly where I planned... wink wink! The new K & Co. "Que Sera Sera" line... delish! 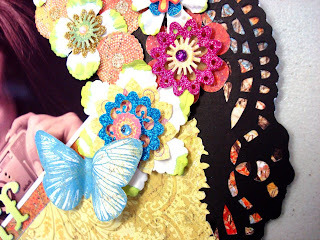 Oh, I love these bright colors and touches of bling in this line! 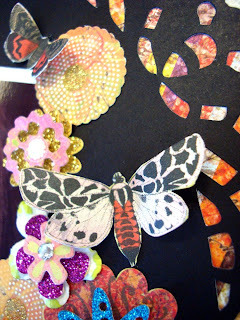 The butterfly is cut form one of the papers and the circles were punched from it as well. The flowers are Prima dipped in Glimmer Mist on the edges and layered with the line's glitter stickers. The title is made up of letters from Adornit Carolee's Creations mini letters and American Crafts fabric Thickers sprayed with Glimmer Mist! 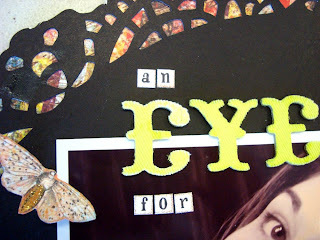 The base paper is Creative Imaginations die cut circle and layered with the patterned paper to show through the openings to create a "stained glass" look.